The Astroworld rapper has his eyes toward set on a new world. Proving that evolving is always cool, Travis Scott is looking for a new lane—in architecture. On Monday, the rapper announced plans to apply to Harvard University. “Im applying to Harvard In a couple days. And I really am excited. !” he posted on Twitter. The rapper’s team confirmed that he intends to apply to the university’s architecture program. This after the rapper taught a Master Class on creativity at the university. Scott, who shares a daughter with Kylie Jenner, actually had spoken of his ambition to attend Harvard in a 2017 interview with Show Studio’s “In Camera.” “Me and my friend Dozie are supposed to go to Harvard, go to architecture school at Harvard,” Scott said. “I think after my third album, I’m going to do it after my third album.” This album being "Astroworld” (2018), which has dominated the Billboard charts since its release. But while the rapper prepares for his Harvard welcome, “Astroworld” has been on the road with “The Wish You Were Here Tour.” With stops including Miami, New York, Toronto, Chicago, and Scott’s hometown of Houston. The tour is set to conclude at the LA Forum on December 17. This also following the announcement of the Astroworld Festival going annual. 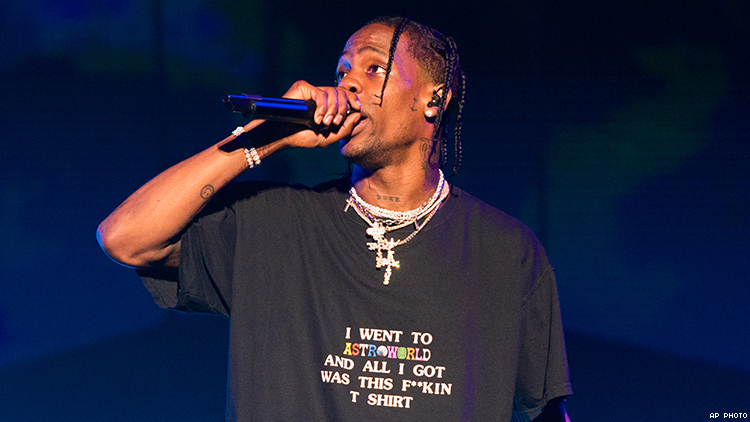 Less than a week after the first ever Astroworld Festival took place in his native Houston, the rapper announced that the event will return again next year. The first Astroworld fest — which is separate from the rapper’s current Astroworld tour — was held on Nov. 17 at NRG Park in Houston and is named for a closed Six Flag amusement park located across the street. Some 40,000 fans were on hand to watch Scott, Post Malone, Lil Wayne and Young Thug, among others, perform at the all-day event.